Reading Eggs is a popular Australian children's reading program, sold by the commercial arm of our respected public broadcaster, the ABC. Most kids without literacy difficulties seem to really enjoy Reading Eggs, and it includes some phonics activities. However, it's not a synthetic phonics program, and I'm not aware of any scientific research demonstrating its effectiveness, so don't use it myself. 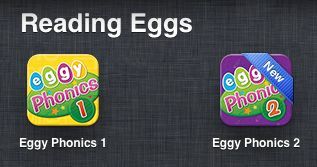 In a procrastinatory mood the other day, I noticed that there are a couple of apps for the iPad called Eggy Phonics. Since they cost a grand total of $5, I couldn't resist downloading them to have a look. 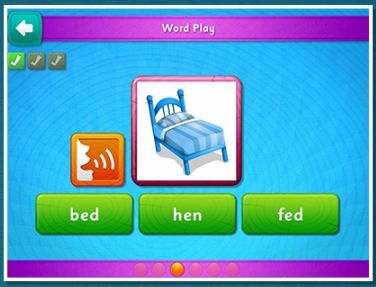 The first app is called Eggy Phonics 1: Short Vowel Words. Its focus is teaching children to read and spell 100 "short vowel words", with 5 words studied at each of 20 levels. This is analytic phonics (working from words to sounds and letters), not synthetic phonics (working from sounds and letters to words). 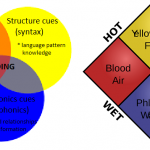 Synthetic phonics has stronger research support than analytic phonics, but I guess initial phonics is better than what many apps offer – just initial phonics, or word memorisation with no phonics at all. Picture This: This is a listening activity, and not phonics at all. A voice says a word aloud (e.g. "cat"), and you have to touch the correct picture from a choice of three (e.g. a cat, a bat and a child sitting). When you get the right answer, an eggy character appears on the screen, smiling waving and with written praise in a talk bubble. Unfortunately little children won't know what the praise says, because the words are mostly too hard for them to read ("Wonderful! ", "Awesome! ", "Amazing! ", "Eggtastic!") and they aren't read out. 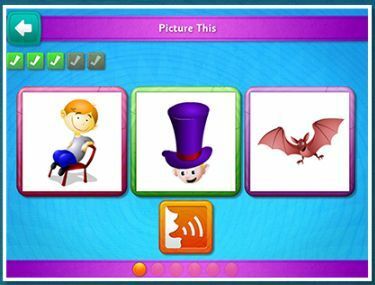 When you make a mistake, you hear an interesting boing noise, and the picture on the screen vibrates before the incorrect pictures disappear, so some learners will probably make mistakes on purpose, because they find the error message more interesting than the reward. Each word is repeated five times (or more if you make mistakes), which seemed like quite a lot to me. 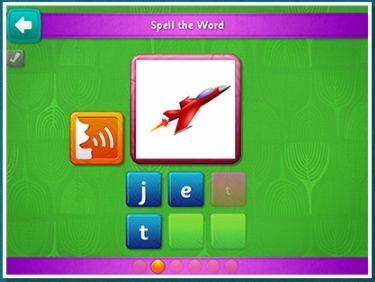 Spell the word: Is a word-building activity, but can be completed successfully simply by visual letter-matching. I was also disappointed to find that when you move each letter, a voice says its letter name, not its main sound. The voice then does say the sounds for each letter in order, but the consonants are not crisp, for example it says "tuh" not "t". See this previous blog post for why this matters, and this one for correct pronunciations of some additional sounds. Word Play: Requires you to touch the right word from a choice of three to match a picture. Same problem with the rewards and error messages as in the first activity. 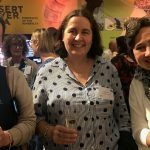 We hope beginners are succeeding at this activity by sounding words out, not memorising them visually like pictures, but they could be doing either. Spell on your own: At last! an activity that does encourage sounding-out. A picture is presented, and if you touch it, you hear a word. The three letters you need to make the word are on the screen, and must be assembled in the right order to make the word. When you touch the letters you hear their names not their sounds (sigh), after which the word is sloppily sounded out. 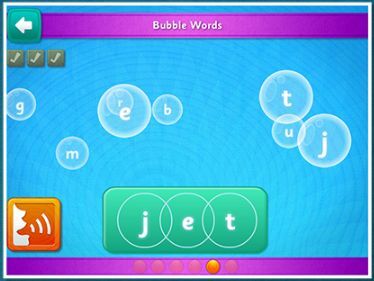 Bubble Words: Presents a series of bubbles with letters in them, and a word at the bottom of the screen. You have to touch the bubble letters that make up the word in the correct order. It's possible to do this activity just by visual matching, not sounding out. When you touch the letters you hear letter names not sounds (argh), after which the word is sounded out with letters being progressively highlighted, and sloppy consonants. 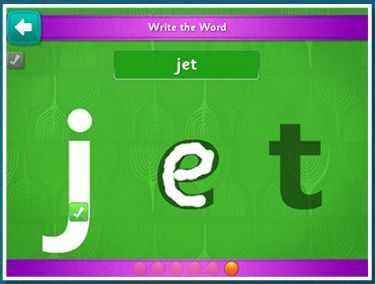 Write the Word: A word appears on the screen in large print, and the app focusses on one letter at a time and shows you how to write it. You then have to trace the letter. So this is more of a tracing/handwriting task than a phonics task. It could equally be used to teach children how to draw triangles and parallelograms. When you complete each letter you hear the letter name, not the sound, but then the word is sounded out for you, with each letter highlighted as you hear the sound. So that's good. I have no idea how transferable the skills this activity teaches are to actual handwriting with a pencil. Once you've done all of the above activities for one word, you can go into the Reward Game, and match pictures and words in a dominoes format, and get points and badges and stuff that kids like. So again, not a phonics activity. But maybe it's just meant to be fun. I found it a bit boring after a while, but I'm not a kid. 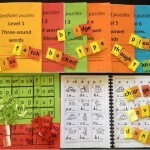 Eggy Phonics 2 contains the same activities as Eggy Phonics 1, but uses different words. 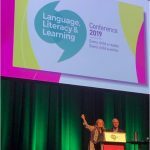 This time instead of words with "short" vowels there are "e-controlled", "long" vowels, like the "a…e" in "cake", the "i…e" in "lime" and the "ee" in "beef". I was momentarily confused by the game information, which says, "Phonics 2 has 20 levels containing 100 short vowel words for you to learn. 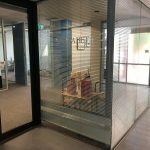 There's heaps of fun activities to help you learn". Hmmm. They need to hire a proofreader who speaks English as a first language and knows what "short" and "long" means in relation to vowels. In the Word Play activity, you are asked "Which word matches the picture?" but there's no picture, at least not in the activities I've tried. In the activities that sound out words, both vowel letters of each digraph are highlighted at the same time, as the sound is heard. So that's nice. 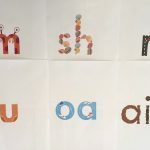 However in word-building activities, the vowel letters are manipulated independently, not stuck together like a proper digraph should be in any self-respecting phonics app. The rewards in this game are badges and critters, and I'd be very surprised if the target audience didn't go for them. I haven't played right through either of these apps to see whether there are is anything different in the middle or at the end, and I'm not going to because it would take hours and drive me stir crazy. If someone else has, and found a whole lot of fun and fantastic features and surprises that I've missed, please let me know and I will update this review accordingly, but here's my initial conclusion. There are many things to like about these apps, such as the polished graphic design, music, sound effects, clear voice and accent options (Australia, UK, US), progress tracking options, use of timers, plus the way the games are set up and the monotony broken by little distractor animations between activities. 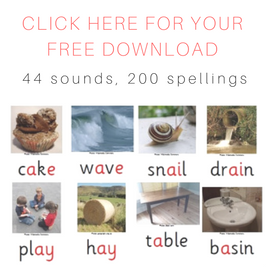 However, I like a lot more work on hearing sounds in words and representing them with letters in my phonics activities. I don't think I will be using these apps much with my literacy-learners. 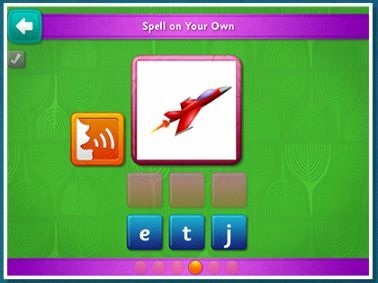 This entry was posted in phonics activities, phonics games, reviews on October 13, 2013 by alison. Just a comment to point out that there is no correlation between the Reading Egg program, and these 2 random apps you have selected “Eggy Phonics”. No Comparison. Why review some cheap crappy apps, and mention an award winning program in your first two sentences, as if these things are related in some way, other than coincidentally through the word “Egg” ?